By E.J. Schultz . Published on October 11, 2018. Gatorade and VML are splitting up. The WPP shop has handled digital for the sports drink giant since 2010. "We are proud of our work together and the business results it has achieved but have agreed to part ways," a Gatorade spokesman stated. "As we look ahead to 2019 we will be evaluating a differentiated model within the digital space." She declined to elaborate on the new model or if Gatorade would be looking for a shop to replace VML. The agency declined comment. The account shift comes as VML prepares to merge with Y&R, creating VMLY&R. WPP has touted the newly constituted shop as a "contemporary, fully integrated digital and creative offering to clients on a global scale." On the creative side, Gatorade parent company PepsiCo is deeply embedded with Omnicom. 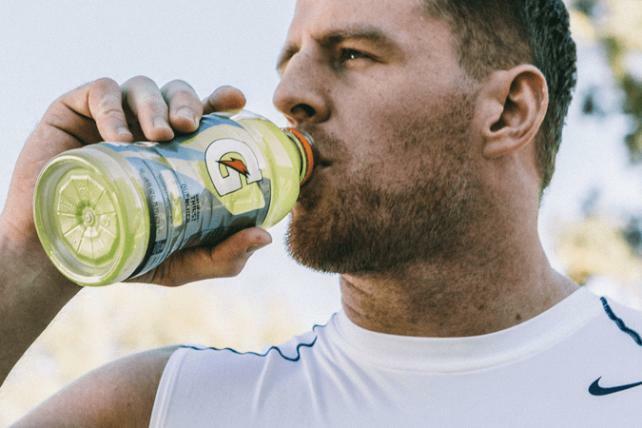 Gatorade continues to use Omnicom-owned TBWA for creative, the spokeswoman confirmed. In January, Gatorade hired Work & Co. to work on digital products and services. VML will also no longer handle Gatorade electrolyte-infused water brand, Propel, and PepsiCo-owned Tropicana. VML's work for Gatorade has included a VR experience that shows kids attending summer camp the effects of dehydration. Last year it oversaw a project called Gatorade Amplify, which generates personalized workout music playlists. Gatorade has long enjoyed dominance in the sports drink category, but it has faced spirited competition lately from start-ups such as Bodyarmor, which touts healthy ingredients like coconut water and potassium. Bodyarmor has directly targeted Gatorade in its marketing. Coca-Cola Co. recently acquired a stake in the seven-year-old brand.